Sometimes a specific set of circumstances come together to produce a really special product – one that is unexpectedly strong. For example, in the case of the first NAD 3020 integrated amplifier the company took the bigger, fatter 3030, threw away all the superfluous bits and instead put a great circuit into a small box. The result far exceeded everyone’s expectations. The Raidho XT-1 is one such example. The company makes excellent high-end speakers, but has never done anything this small yet this good. It uses existing Raidho technology, but opts to repackage it into a wonderfully capable yet compact standmount. designer. It is he who has conferred an exceedingly pleasant family sound on Raidho loudspeakers, and this one is no exception. “The best driver we have”, not least because the membrane is said to be 50 times lighter than a conventional dome design, and yet has a much larger surface area. Added to this is a very powerful neodymium magnet, which in effect is a versatile high-frequency driver that works all the way down to 3.5kHz. and magnetically rigid neodymium magnet motor system, driving a multi-layered ceramic/aluminium/ titanium hybrid cone; the XT variant tested here differs from the cheaper Raidho X-1 because it adds a layer of titanium and titanium nitride to the ceramic driver membrane. This makes for a seven-layer cone said to be very stiff, yet with excellent intrinsic damping properties. The cabinet has been designed to minimise resonance. It starts off life with a huge advantage because there are no big, vibration-prone side panels. Yet this small speaker is still constructed to be exceedingly solid and weighs a good deal more than you’d expect for the size. As per all Raidho speakers, the front baffle is an exquisite aluminium casting and has a specially shaped slot port at the bottom. Rap your knuckle on the side and you’re greeted with a dull ‘thunk’ that decays quickly down to nothing. The company claims a frequency range of 80Hz to 50kHz (-3dB); while I cannot vouch for the upper part of that, the lower seems realistic. The XT-1 is obviously compromised in its bass response by its size, yet those buying an ultra compact standmounter such as this are not likely to worry – it is designed for smaller rooms where a deep extended bass will be more of a hindrance than a help. The other downside is the quoted sensitivity of 85dB/1W/1m; that’s about as good as you’re going to get from such a small loudspeaker – as any user of a BBC LS3/5a knows, you don’t really buy miniature monitors for their ability to go loud with low-powered amplifiers. Raidho claims that you’ll need at least 50W RMS per channel to drive the XT-1 properly, but does not quote a maximum power handling figure – in a small listening environment perhaps that is somewhat academic. Nominal impedance, meanwhile, is said to be a fairly easy 6ohm. I’ve been a fan of Raidho speakers for a good long time – and find its top-of-the-range designs hugely impressive. So it doesn’t come as a complete surprise to find myself rather beguiled by the XT-1. Indeed it has many of the benefits of the far more expensive flagship models – such as that gorgeous tweeter – at a much lower price. What you do lose, though, is bass; obviously this is a seriously small speaker and you never forget this. The upside is that unlike most designs of similar dimensions, the XT-1 copes with being small really rather well. You’re going to get an obvious lack of bass extension, but driven hard most small speakers compress badly and really seem like they’re struggling. With the XT-1, I am surprised just how well it holds up with large amounts of input power; it’s a robust little thing. In a nutshell, it is smooth and sophisticated, yet enjoyable punchy and propulsive. One of my few criticisms of large Raidho C-series speakers is that the bass isn’t quite as fast or tight as that exquisite treble. Yet here, that’s not so much the case; this has a wonderfully integrated sound that blends seamlessly in with both the music being played, and the listening room. Due to its dinky dimensions it doesn’t impose itself on the room, preferring instead to melt into it; this done, it’s able to throw out a large and engulfing soundstage. From upper bass to high treble, everything sounds subtle and finely etched and there’s no shoutiness in any part of the frequency spectrum. Take Crosby, Stills and Nash’s Wooden Ships, for example. Although a seminal song it’s not a brilliant recording, yet the Raidho digs deep into the mix and throws out loads of detail. That superb tweeter is such a help here; it serves up lovely filigree detail that almost lets you taste the buttery vocal harmonies and lustrous guitar work. At the same time the bass guitar bobs up and down in a supple and fluid way, and the overall effect is quite transfixing. You can almost feel the California sunshine and smell the smoke in the air from this recording. Texturally the XT-1 is truly superb, really giving a sense of the moment that the music was made, and the instruments that were used. Although tonally ever so slightly on the warm side, this speaker isn’t coloured in the usual sense; it is open and neutral enough to give you a real feel of what’s in the recording. It’s always interesting to see how speakers handle relatively lo-fi recordings – generally those that do well excel with the hi-fi ones. To this end, on goes Alex de Grassi’s The Water Garden. An exemplary piece of modem classical guitar work, the XT-1 savours every last four-bar phrase. Again, the listener is drawn to the tonal purity of the lead instrument; its every harmonic touch rings out around the listening room (it’s a great advertisement for DSD), and I’m also impressed by the timing. Thanks to that light ribbon treble unit, the Raidho has great transient speed and is highly dextrous at conveying the attack of such a commandingly played guitar. The way that the instrument’s sound bounces off the studio walls is well conveyed too, showing the speaker’s fine ability with low-level detail so that reverb doesn’t fall off a cliff. Moving to some classic techno in the shape of Kraftwerk’s immaculately recorded Techno Pop, and this little loudspeaker is in its element for all the aforementioned reasons. It also showcases the Raidho’s fine stereo imaging. It’s far more expansive than you would expea from something of this size, and locates strands in the mix with pin-point precision. truly three-dimensional way, unveiling layer after layer of sound. At the same time, the Raidho never once appears analytical or ‘workmanlike’ – its speed and insight make for deft handling of the song’s infectious rhythms. The opening Allegro of Beethoven’s String Quartet No.4 in C minor played by The Allegri String Quartet shows precisely the same. considering its size, but there’s definitely a sense that an octave or so is missing. In the best traditions of superb small speakers, this has far less of a deleterious effect that never fails to engage the listener. The low bass on the nineties trance song Burly House by Uncle Bob is lacking, but the tune is all still there with a vengeance. Raidho’s XT-1 costs £ . That sort of money won’t buy you much loudspeaker, but it certainly gets you a serious amount of sound. Spacious, expressive, lucid, fluid, open and musical – there is so much to like. 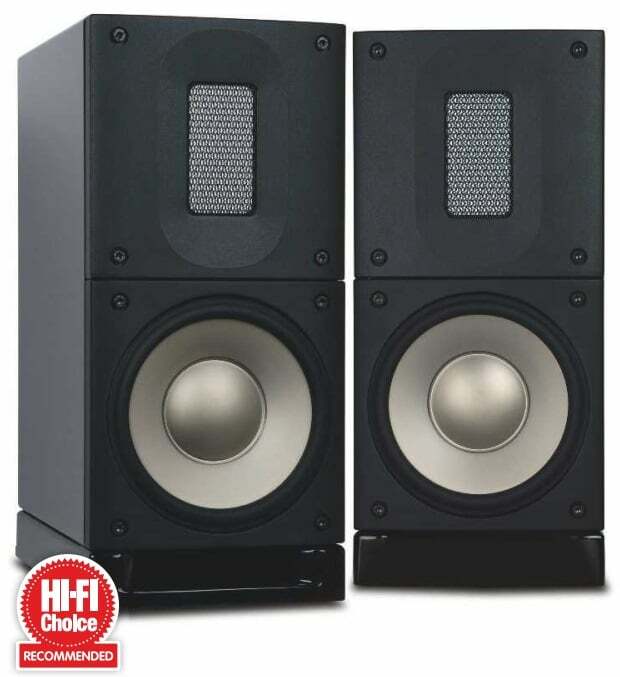 The usual caveat with a speaker of this size has to be given regarding its bass performance, but buyers of small standmounters tend to have already made the decision to forfeit an octave or so of low frequencies for better sound further up the frequency scale. Anyone looking to get their hands on one of the best baby speakers around really needs to hear this one.